Our container Shot Blast rooms are a robust, energy-efficient and low cost solution for all forms of enclosed, freestanding Shot Blasting operations. 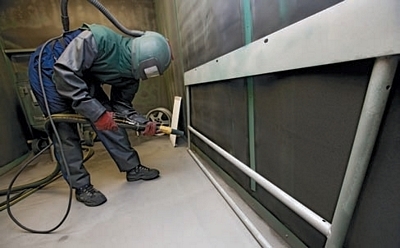 Applications include vehicle chassis remanufacturing, small scale workshop manufacturing and the pre-treatment of many types of products before surface finishing, powder coating or painting. 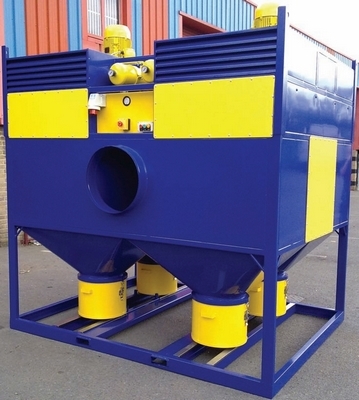 Total Extraction Solutions Limited Shot Blast rooms can be used with any pressure pot free-standing or total loss shot blasting equipment. The combination of the fully enclosed environment and extraction system enables all blast media to be recycled, resulting in an environmentally-friendly and economical shot blasting operation. 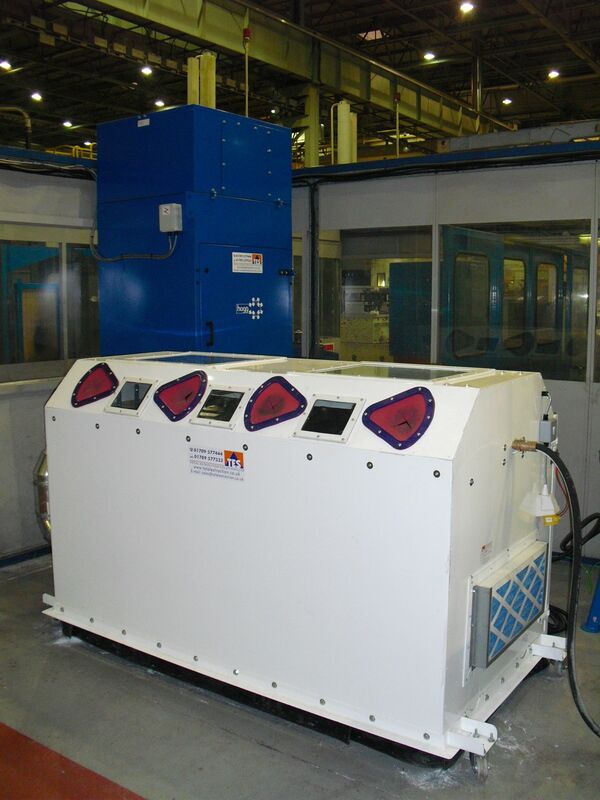 We also supply on-site dust extraction units which enable companies that are undertaking open-air shot blasting to comply with all UK and European safety regulations. The use of media such as Copper Slag, Non-Silica abrasives and Aluminium Oxide must now be extracted in all outside situations. This system allows full compliance whilst operating effectively and economically. This site provides an outline of the products and services we can offer you, however for further information or to arrange a free no obligation quotation click here to contact us via E-Mail or call 01709 555501!